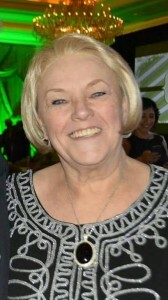 SALT LAKE CITY, UTAH – August 30, 2015 (Gephardt Daily) – Penny Davis, the wife of Senator Gene Davis, died peacefully surrounded by her family on August 27, 2015. Senator Davis served in the House of Representatives from January 1, 1987—December 31, 1998 and was elected to the Senate in 1998. In 2012, Senator Davis was elected as the Minority Leader in the senate. Funeral services have been planned at the Wasatch Lawn Memorial Park, 3401 South Highland Drive, Salt Lake City, on Tuesday, September 1, 2015 at 11 a.m. A viewing is scheduled on Monday, August 31 from 6 p.m. to 8 p.m. and Tuesday, September 1, from 10 a.m. to 10:45 a.m.